Homeowners are always in search of what other things will add an outstanding look to their home, other than furniture and other decorative items. Nothing else can give your home that desired as well as complete look like the different types of wall arts! As trends keep on changing, people are getting diverted towards several types of wall arts and more specifically towards canvas wall art. Canvas wall décor is becoming popular with each passing day, so you can see many homes exhibiting abstract painting that display landscapes, animals, nature, flowers, birds and many other things. It is best used to decorate every simple as well as elegant home furnishing. Decorating your home in some of the modern styles and designs will take no much effort if you introduce abstract canvas wall art in your home. These wall decors are designed as well as styled to offer you with the required elegance and luxury. Abstract canvas wall art is the best way to display visual statements in the form of lines, strokes, colors, designs and shapes. Abstract ones perfectly utter the artist’s feel and his love about various things of life such as nature, love, friendship and many more. It includes every type of style and design that just can’t be imagined and thought of. Abstract art can be purchased as a single piece or it is also available in a set of 2 to 8. These sets are just impressive and can easily add modernization of every type of home décor. They are said to go just perfect with every modernly styled home. In many of the modern homes, people prefer being simple yet stylish rather than being too much elegant and goody. Style conscious modern homeowners decorate their homes in the most beautiful yet functional manner by adding these abstract wall art with canvas base in their homes. Before you place any piece of wall art on any of your walls, make sure look at the surrounding space and remove the old-fashioned and outdated pieces of furniture as well as ornaments. This will help you create the desired atmosphere that you want the wall art to create in your home. Before everything, make sure you consider your budget and then finalize on any piece that suit your décor as well as fulfills your needs. 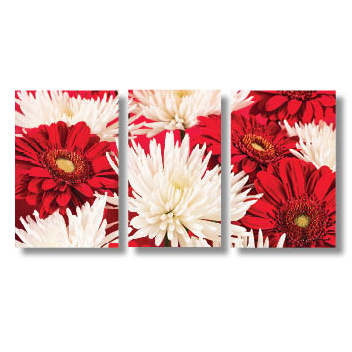 Make such a selection of abstract canvas wall art that it gives your home a completed new yet classy presence. Secondly keep in mind the color of the wall where you are going to put or hang the piece. In many cases, individuals choose to have a contrast color for their wall art, which will make the paining blend with you home décor. For more detailing, you can choose the one with similar shades as that of your pillow, lamp, vase, curtains, mirrors, ceiling light and a lot more as such. Also, ensure that the style of the abstract canvas wall art matches with the surrounding style, where it will be placed in your home. What style you have for your home, will decide the style for your wall décor as well. Other than all, your personal taste is also an essential factor that should be equally valued. Just selecting a paining for your home, which is not of your taste as well as style will be unsatisfactory. What you choose must not only accomplish your décor and style requirements, but also satisfy your personal taste, giving your home a more modern yet appealing look.